Here’s how that hot armor plays out. I remember in the old Deities & Demigods book (Advanced D&D) they had some pretty awesome Polynesian gods. There was this one tiki god of death; he had poison skin that caused death to mortals simply by touch. I want to say there was no saves. Sadly I have lost this book, my favorite of the old Advanced Dungeons and Dragons books. (Luckily I still have the rest, but I digress) One thing I always wanted to do but never seem to have gotten around to those parts of the world maps is to have an adventure on a Hawaiian type island. The party would be as foreign there as when the first Europeans stumbled ashore the Hawaiian Islands. 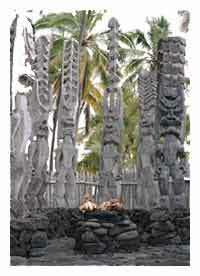 Kahunas (Hawaiian priests) would be powerful figures, and very close to the feathered, superstitious High Chiefs. 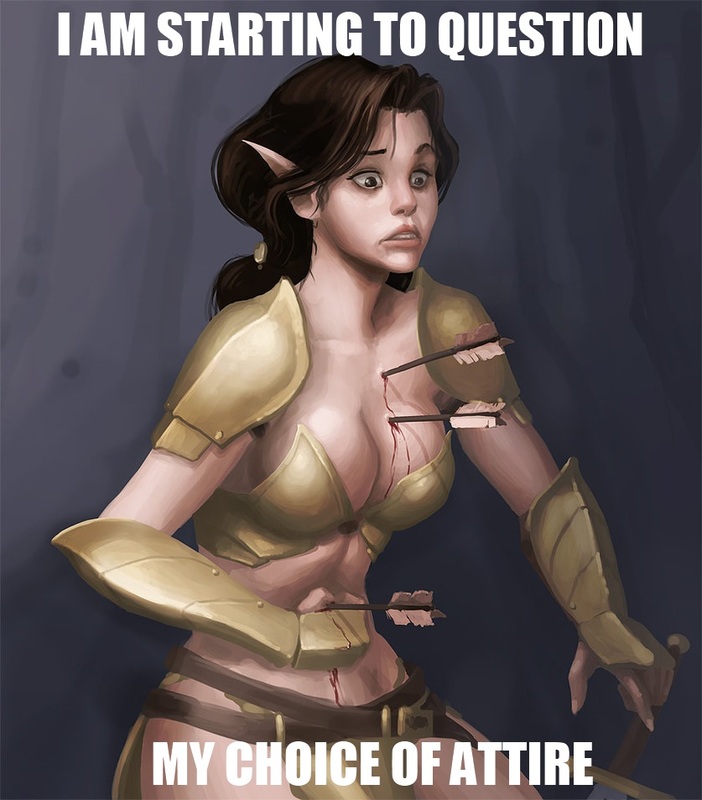 Luckily a lot of flavor for these types of adventures can be found online. If you plan on having any of your adventures shipwrecked, landing or otherwise discovering some strange shores here are some great resources. First of all, you have to have the right weapons for the natives. This is a great way of authenticating your island as your players won’t know there stats. Find a list of Hawaiian Weapons here. Also, to get an idea about the myths and gods associated with the Polynesians you can check out these Hawaiian Gods. Now the warriors you will be facing on the islands are a lot different but not necessarily unsophisticated. Here are a few links to get you in the mode of thinking about what these guys will be like. Hawaiian Warfare – Here is how they fight, not the disorganized mob you may have expected! Hawaiian Warriors – Here is a basic look at Polynesian warriors. Hawaiian Tattoos – Don’t forget about their body art. Tiki Culture – This should get you into the general flavor of the islands. Bishop Museum – Another good resource for island flavor and ancient Hawaii. Perhaps an adventure may start with the party viewing these cannibals as savages, but discovering they have a highly developed society… one plagued by the real savages! Welcome to Dungeon Imp: Your D&D Resource Center! Dungeon Imp is a Dungeon Master and Player character resource center. Providing images and ideas for your champaigns. Player character portraits, NPC’s and Maps. Drawings of monsters, wizards, castles, towns, realms and anything else I can get my hands on without copyright infringement! All of this is for use as you see fit in your fantasy worlds. You will also find many interesting articles about fantasy roll playing and the fantasy mind. Please feel free to contribute, share, use, or comment. Please feel free to use this resources in your champaigns, but use is limited to personal usage and not in any form of business.